As a tax practitioner recognized for his involvement in a number of complex transactions, Jean-Yves Charriau has developed extensive expertise in the real estate sector. He advises listed companies, investment funds, French and international institutional investors and Islamic investment funds. 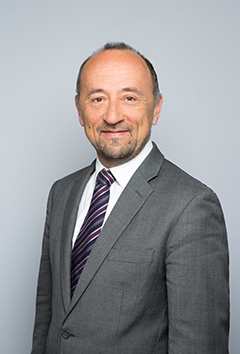 After beginning his career at a French firm, Jean-Yves Charriau worked at Ernst & Young between 1994 and 2003 (was appointed partner in 2001), where he practiced in the New York office for two years (1998-2000) in the International Tax Services Group. He later went to join CMS Bureau Francis Lefebvre as a partner, and then in 2010, joined Allen & Overy. He joined Lacourte Raquin Tatar in 2017. Admitted to the Paris bar since 1994, he holds a post-graduate degree (DESS) in business law and taxation and also earned his Magistère de juriste d’affaires post-graduate degree (a highly selective business law degree program) from the Université de Paris II Panthéon-Assas (1990).